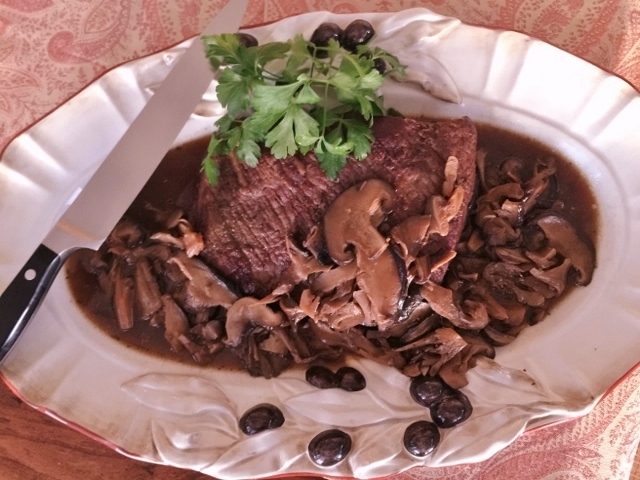 Oven Roasted Brisket with Wild Mushrooms - Recipe! - Live. Love. Laugh. Food. 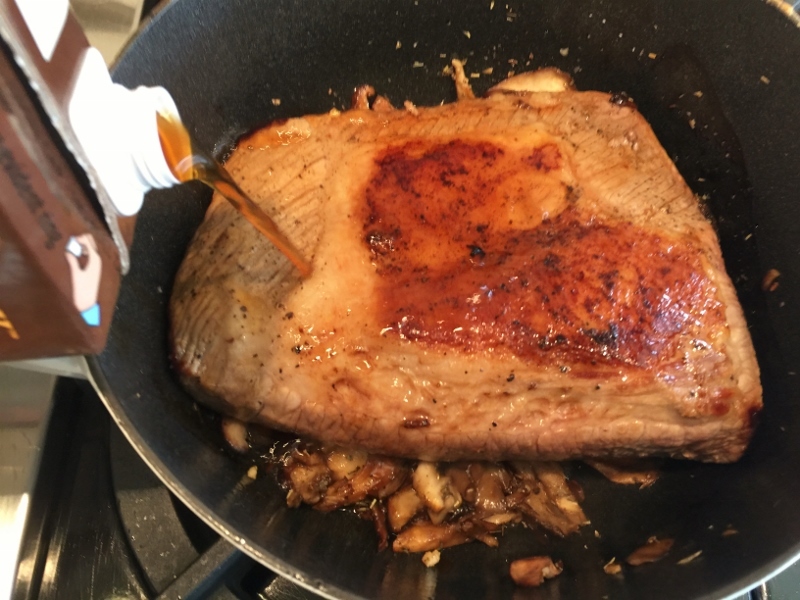 Oven Roasted Brisket with Wild Mushrooms – Recipe! Brisket makes a great family-style meal on the weekends, but especially for holidays like Rosh Hashana, Passover, or Easter. The simplicity of searing this lean piece of meat and roasting it for several hours in the oven is truly amazing. The tender beef becomes easy to slice, but not too soft that it falls apart. 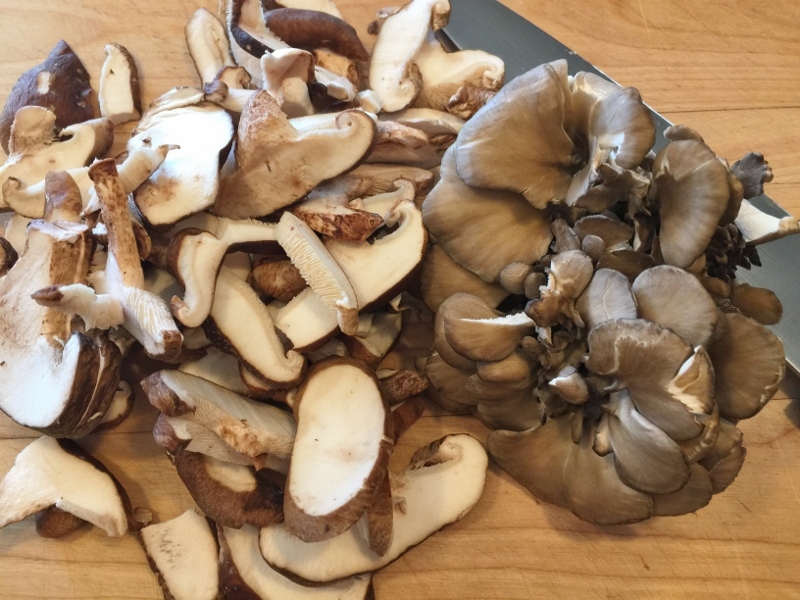 I love roasting brisket with vegetables, but this time I stepped it up and chose hearty wild mushrooms, to create a warm broth, that compliments the meaty flavors. I remember attending several Passover dinners at my husband’s Nana’s house before she passed and brisket was always part of the menu. I found it quite funny that she was a vegetarian, but made the brisket – hmm. I think she made it with onion soup mix, but it always turned out lovely – the family lapped it up. Oven Roasted Brisket with Wild Mushrooms is a good choice for large gathering or parties because it feeds a crowd and pairs nicely with numerous side dishes. Brisket is a delicious choice instead of turkey at holidays and I like to serve mine with a potato gratin, fresh mixed greens, wild rice casserole or macaroni & cheese. I think you will truly enjoy this combination of beef and mushrooms – it’s delightful. 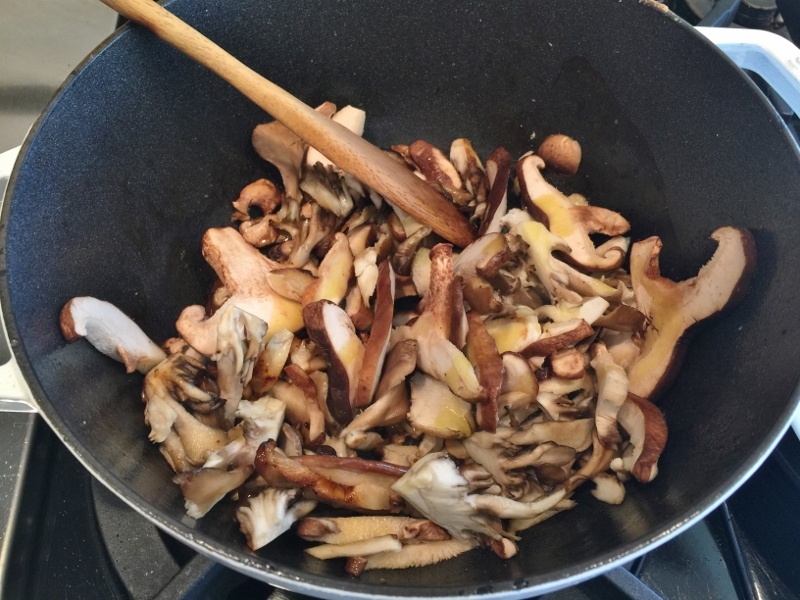 4 cups wild mushrooms – Shiitake, Cremini, Maitake, Oyster, Portobello, etc. 1. Preheat the oven to 325 degrees. In a Dutch-oven or large oven proof pot, add 1 tablespoon of oil and place over medium-high heat. 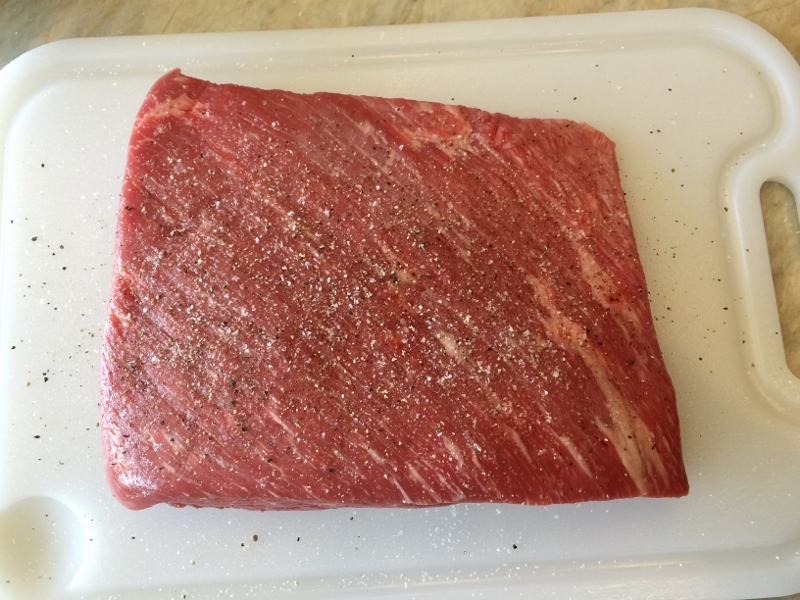 Salt and pepper the brisket on both sides and add it to the pan. 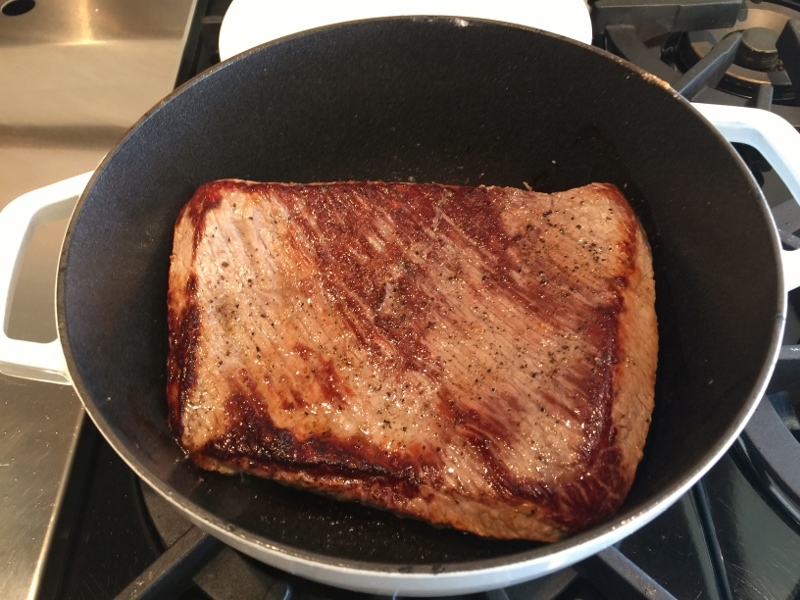 Sear the brisket on both sides for 4 minutes. 2. Slice the mushrooms and set aside. Remove the brisket from the pot and place on a plate. 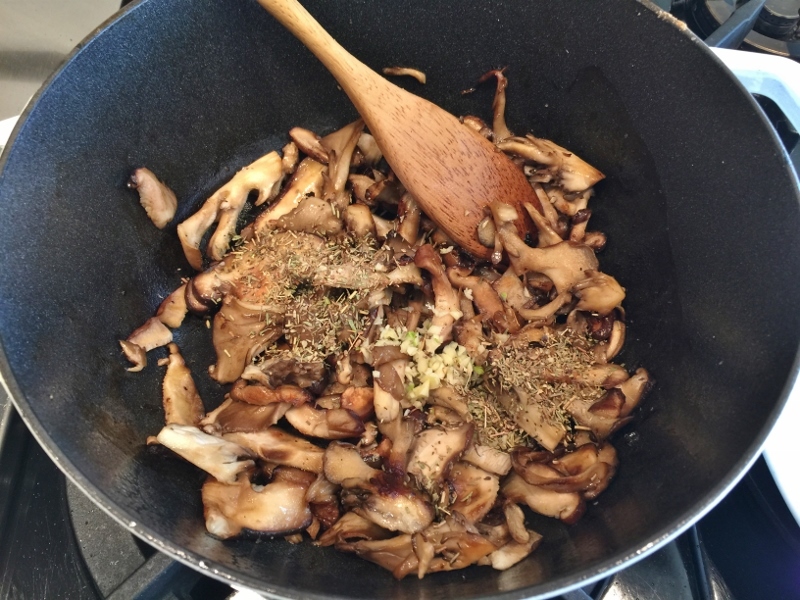 Add 2 teaspoons oil to the pan and the mushrooms, saute for 3 minutes. 3. Add the Herbs de Provence and the minced garlic, stir to combine. Continue to cook the mushrooms for 1 minute. 4. Place the brisket on top of the mushrooms, fat side up. You want to fat to melt over the meat when cooking, it adds moisture. Pour the beef broth over the top. Place the lid on the pot and put in the oven to roast for 2 1/2 hours. If your meat is slightly larger, increase your cooking time by 15 minutes. 5. Remove the meat from the oven and place it on a serving platter. Ladle the mushrooms and broth over the top. Serve family-style on the table and slice to serve. Enjoy! 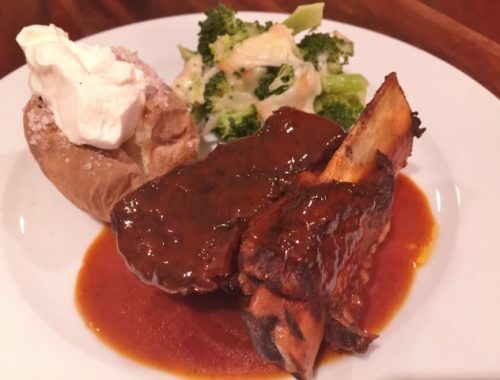 Slow-Cooker Glazed Beef Short Ribs – Recipe! 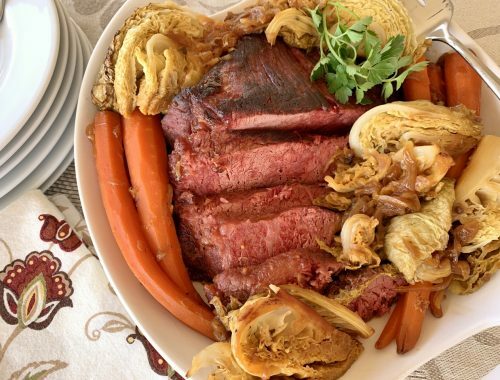 Apple Juice Braised Corned Beef & Cabbage – Recipe! 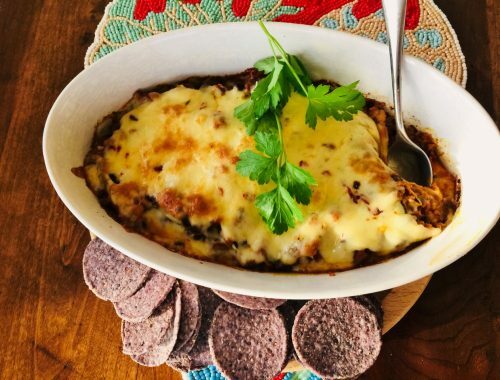 Cheesy Black Bean Chorizo Dip – Recipe!